There are commonly prescribed psychotropic medications/drugs that can contribute to teeth grinding and clenching when using antidepressant medications, SSRI (selective serotonin reuptake inhibitors), anti panic agents as well as anti obsessive agents. They are listed in this diagram. Teeth grinding and clenching (a condition in which you grind, gnash or clench your teeth) has been reported by people with osteoporosis, depression, stress and anxiety, osteopenia, attention deficit hyperactivity disorder. (latest reports from 2,537 Teeth grinding and clenching patients). SSRI or selective serotonin reuptake inhibitor refer to any of a class of antidepressants (as fluoxetine or sertraline) that inhibit the inactivation of serotonin by blocking its reuptake by presynaptic nerve cell endings. There have been several reported incidents of iatrogenic bruxism (involuntary clenching or grinding of the teeth). Diurnal bruxism (Micheli et al, 1993) has been associated with dopaminergic blockade, and nocturnal bruxism. Nocturnal bruxism has been reported with venlafaxine, a serotonin/noradrenaline reuptake inhibitor, which responded to gabapentin (Brown & Hong, 1999), as well as three selective serotonin reuptake inhibitors (SSRIs), paroxetine (Romanelli et al, 1996), fluoxetine and setraline (Ellison & Stanziani, 1993). On Feb, 26, 2016: 37,299 people reported to have side effects when taking Gabapentin (Neurontin). Among them, 48 people (0.13%) have Teeth Grinding And Clenching. Benzodiazepines are widely prescribed for a variety of conditions, particularly anxiety and insomnia. Four of them, alprazolam (Xanax), clonazepam (Klonopin), diazepam (Valium) and lorazepam (Ativan), are considered among the top 100 most commonly prescribed medications. They are relatively safe and, with overdose, rarely result in death. However, used chronically, benzodiazepines can be addicting. 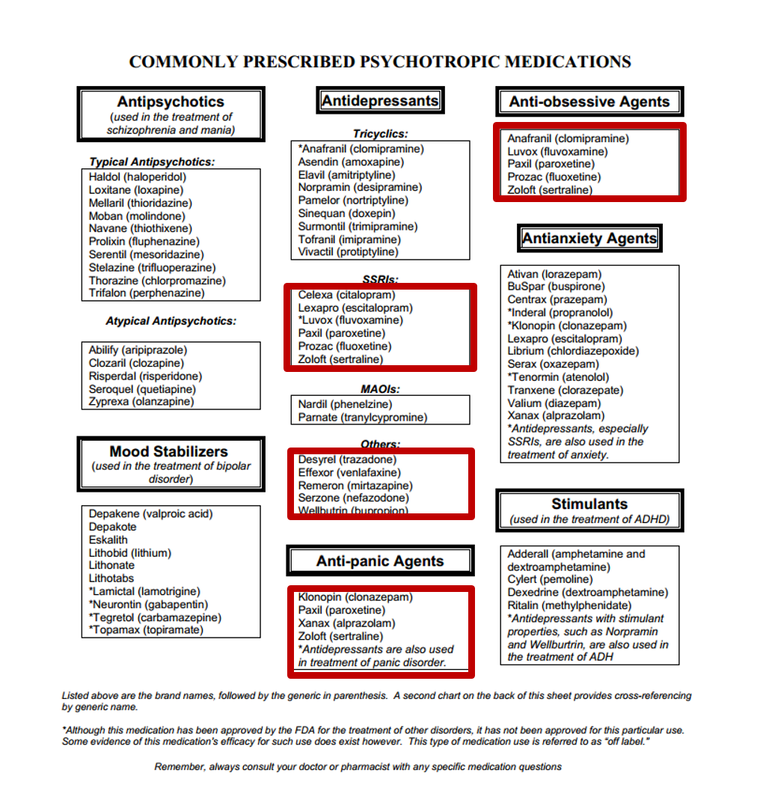 These agents are often taken in combination with other drugs of abuse by patients with addiction disorders. Alternatives to benzodiazepines may be preferable and may include antidepressants, anticonvulsants, buspirone, antihypertensive agents and the newer neuroleptic medications. Caution must be used when prescribing benzodiazepines to patients with a current or remote history of substance abuse. Benzodiazepines carry an extremely low risk of acute toxicity. However, benzodiazepines often are used with other types of medications, including other drugs with abuse potential, and these drugs can enhance the toxic effects of benzodiazepines. Psychomotor Retardation – decreased rates of metabolism or greater susceptibility to central nervous system depression. Psychomotor symptoms include drowsiness, poor concentration, ataxia, dysarthria, motor incoordination, diplopia, muscle weakness, vertigo and mental confusion. Paradoxical Disinhibition – Increased excitement, irritability, aggression, hostility and impulsivity may occur in some patients who take benzodiazepines. Depression and Emotional Blunting – depression and the emergence of suicidal ideation. Adverse Effects During Pregnancy – Benzodiazepines may lead to the development of dependence and consequent withdrawal symptoms in the fetus. They are excreted in breast milk and thus are usually contraindicated in breast-feeding mothers. Tolerance to the hypnotic effects tends to develop rapidly. Patients typically notice relief of insomnia initially, followed by a gradual loss of efficacy. Dependancy – Benzodiazepine therapy can give rise to physiologic and psychologic dependence based on the drug’s dosage, duration of therapy and potency. Withdrawals – Effects from therapeutic dosages of benzodiazepines are mainly anxiety symptoms. In addition, autonomic instability (i.e., increased heart rate and blood pressure level, tremulousness, diaphoresis), insomnia and sensory hypersensitivity are common. The most serious acute withdrawal symptoms are seizures and delirium tremens, which most commonly occur with abrupt discontinuation. Protracted Withdrawls – Symptoms include prolonged (for several months) anxiety, depression and insomnia. In addition, physical symptoms related to gastrointestinal, neurologic and musculoskeletal effects may occur. Effects in Elderly – the risk of drug interactions, psychomotor slowing, cognitive dysfunction and paradoxical disinhibition may be amplified. Abuse – Potential drugs of abuse, short-acting benzodiazepines seem to be preferred among addicts because of the rapidity of their onset of action. Longo, MD, Lance P: Addiction: Part I. Benzodiazepines—Side Effects, Abuse Risk and Alternatives, Am Fam Physician. 2000 Apr 1;61(7):2121-2128.
Review: could Gabapentin cause Teeth grinding and clenching (Bruxism)?